Being a wedding photographer in Manhattan is amazing. You get to document all sorts of different types of weddings, including City Hall weddings in NYC. This Bride and Groom were getting officially married in Manhattan, New York, but having their wedding reception just outside of Paris, France. 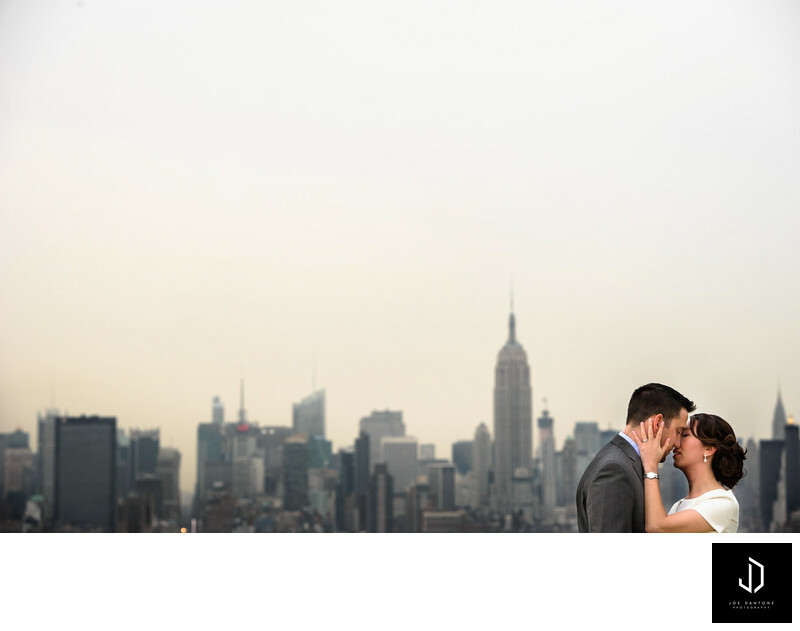 This photo was taken on a rooftop of their apartment building in manhattan just after they tied the knot during their ceremony at city hall. I loved this wedding because we had all the time in the world to do portraits in multiple locations throughout the city. Here in the background of this wedding picture is the Empire State Building. Location: City Hall Park, New York, NY 10007.